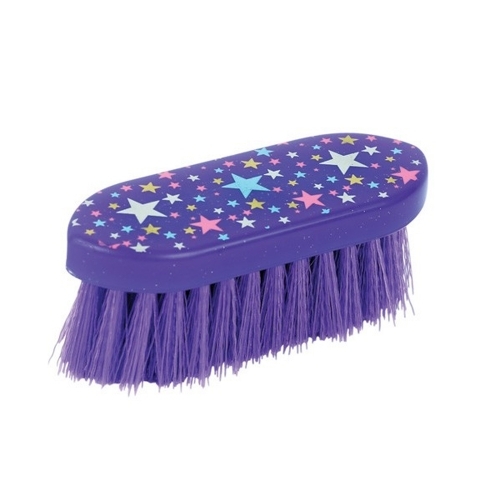 This Roma Stars Dandy Brush is a colorful addition to your grooming kit. Perfect for everyday grooming. Medium bristle. 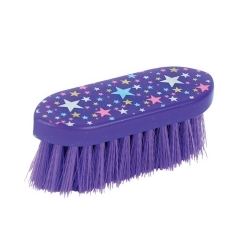 Adorned with gold, silver, pink, and blue stars. Approximately 5 1/2" x 2".